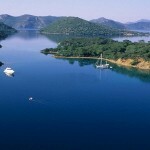 Fethiye Bay offers a highly recommended excursion through its waters and islands. Many boats leave every morning to tour the Bay Islands, the tour includes swimming in clear water, navigation and onboard meal. When we return in mid-afternoon, we will feel we have enjoyed one of the best days of our holiday. 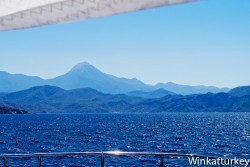 We can hire the boat to our hotel or do it in Fethiye port. The advantage of the hotel is that they provide transportation to and from the port. If you hire yourself, you have to go with time enough in the morning to decide about the boat and the price. There are sailing boats as Kardesler offering a very relaxing cruise when they stop the engines and sail the bay noiseless, we loved it. The journey begins departing from Fethiye port and passing by the lighthouse. We immediately headed to the Red Island and the Rabbits islands. At this time they will take note of our choice for lunch. They usually offer chicken, köfte or pasta prepared on board. After passing by the islands and give us the first dip in the creeks we will cross the bay toward the Flat Islands. In this section they often serve food and there is also time for sunbathing on the top deck of the ship. The Flat Islands are a mandatory stopping point. They are a group of islands that form a channel of still transparent waters . In high season it is impossible that we are alone, but this does not prevent us to enjoy our bath and walk around the island. As the stop here is somewhat longer, we are offered water-donut rides and some other similar activities . Of course, to be paid in cash. 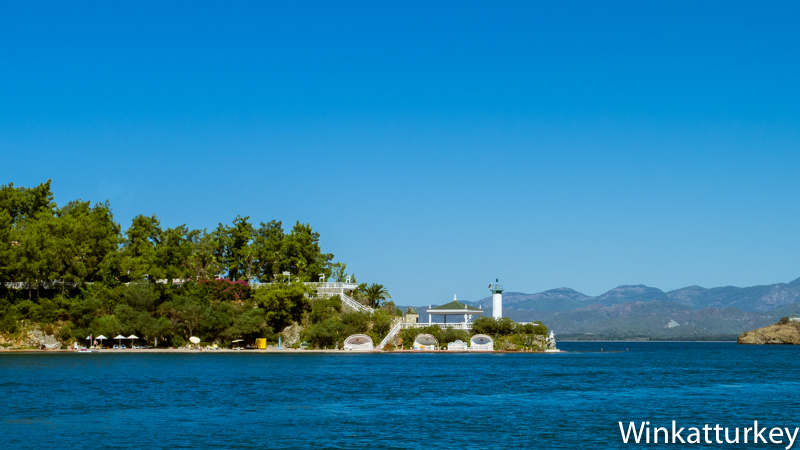 If you wish to make some stunning photos of the Bay of Fethiye, this is one of the sites. The journey continues with a visit to the Cleopatra baths, located in a small bay just opposite Fethiye. Legend has it that the legendary softness of the skin of the Egyptian Queen was actually due to the mineral waters that flow in this area of ​​the sea. Then we were taken to the Shipyard Island, another place with calm waters for swimming at our leisure. At all times we can consume beverages, ice, etc and pay upon returning to Fethiye. By now it is time to cross the bay in reverse and start back to Fethiye. We pass through the narrow channel between the Shipyard Island and the Pig Island and then sail to the East. If we chose a sailing boat, that will be another moment to be remembered. Our crew will offer tea to us, and also coffee and a snack that is included in the tour. Before returning to Fethiye we make another stop at the islands on that side of the bay where we can take our last swim of the day. 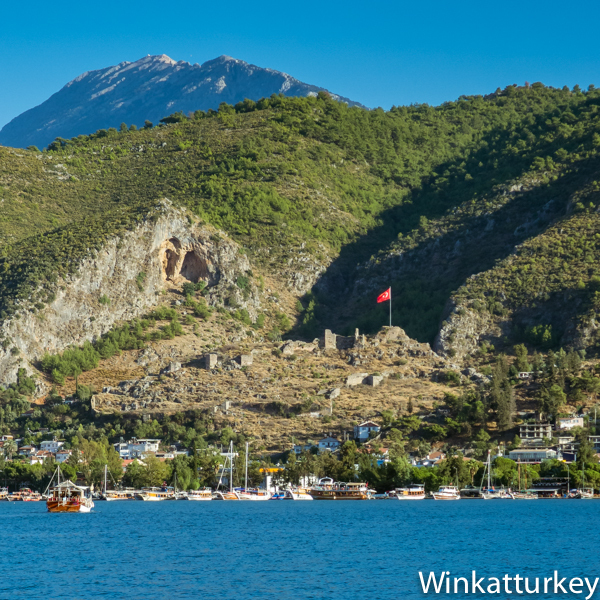 on our way to Fethiye Harbour we will see the city from the sea, with its castle and the Lycian tombs in the mountains behind the houses. It will also be time to settle our account and prepare all our stuff to leave the ship. Of course, this tour has to be done in summer to enjoy the stops on the various islands. Highly recommended.